Home » Bible and Beyond » Hellenistic Period » Strata: Raised from the Deep, BAR 28:05, Sep-Oct 2002. Strata: Raised from the Deep, BAR 28:05, Sep-Oct 2002. In our recent review of The Problem of Unpublished Excavations we listed Michael Katzev among the culprits—archaeologists who delay publishing, or never publish, the results of their research.a We are pleased to say we may have spoken too soon. 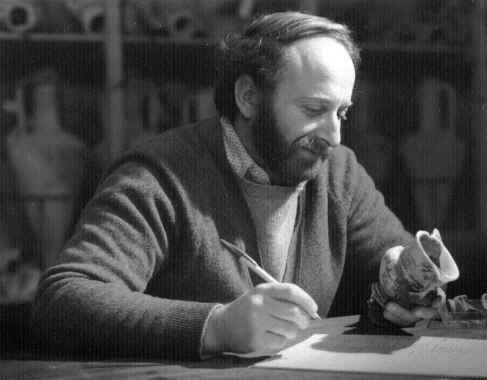 Katzev, who died of a stroke last September at age 62, is famous in maritime archaeological circles for his work raising, preserving and reconstructing the Kyrenia, a Greek vessel named (by the researchers) after the Cypriot town near where it sank around 300 B.C. When the Kyrenia went down it was carrying over 400 wine jars, mostly made in Rhodes—it had probably stopped there on its way to some other port of call. Carbon-14 dating of the wood used in the boat’s construction and of the organic materials it was carrying reveal that it was an old ship—over 80 years old—when it sank. The reconstructed vessel now occupies its own museum in its namesake harbor resort, although until now there has been no published report on the project. However, Katzev’s widow, Susan, advises us that she is currently coordinating the effort of a team of scholars to publish her husband’s Kyrenia material, in two volumes, through Texas A&M University Press. As keeper of the expedition archives, sifting through the 25 ream-thick notebooks left by her husband is no easy task for Susan Katzev, who says she has already burned out one copy machine. But she’s excited that the scholarly team is “off and running” and looks forward to the material being published in 2006. One volume will focus on the ship’s contents and equipment, its unusual anchor and life aboard the ship. A companion volume will concentrate on the vessel itself. a. Sophocles Hadjisavvas and Vassos Karageorghis, The Problem of Unpublished Excavations, reviewed by Hershel Shanks, ReViews, BAR 28-01.